I’ve noticed a recent increase in the number of jazz albums by artists who reside in and/or have come from Canada. Proximity plays a role, as does the modern ease of producing CDs; that said, it’s nice to see a greater number of albums crossing the border, and giving us a greater opportunity to appreciate the talents of our neighbors. Bassist, composer and teacher Luke Sellick is an excellent example of the high quality coming from Due North. 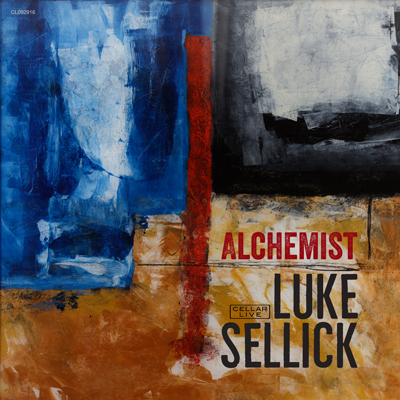 Sellick, was born and raised in Winnipeg, attended New York’s Juilliard School of Music and was mentored by legendary bassist Ron Carter. Sellick then apprenticed with pianist Johnny O’Neal, and performed regularly in Big Apple jazz clubs. He currently lives in Harlem, and has a very busy schedule at local venues. He also has toured the world, both as a sideman and leader of “small jazz” combos. This release includes some New York’s finer “first-call” artists. Jimmy Greene and Jordan Pettay are featured (respectively) on tenor and alto sax; and Benny Benack and Mat Jodrell play trumpet. The rhythm section features Andrew Renfroe (guitar), Adam Birnbaum (piano) and Kush Abadey and Jimmy Macbride (drums). Bass clarinetist Andrew Gutauskas guests on one of the nine tracks. In addition to playing bass, Sellick composed and arranged all the tunes. The musicians share the various tracks, the configuration generally resulting in quintet performance. The menu includes mid- to up-tempo swingers and ballads. All are smoothly performed: The melodic lines are unique, and the solos are first-class. Sellick clearly has a bright future.